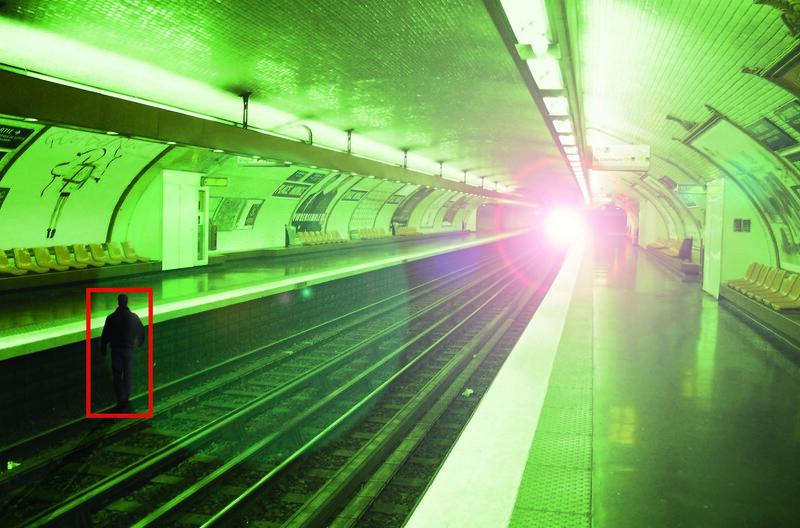 The system also gives a warning if it cannot cope due to situations such as overcrowding, inclement weather (such as fogs and blizzards) or sabotage (someone putting a sock over the camera or painting it black). A warning will advise the operator that the camera can no longer see adequately, highlight the problem and suggest that he sends out a patrol to investigate the situation. The aritificial inteligence based NAMS capability gives products in the IQ Series a unique edge. In a recent trial against several competitors, the requirement was for a simple intrusion detection. Every one of the companies involved could do the detection. However every one had false alarms and the lowest rate was 200 false alarms each night – except for iOmniscient. 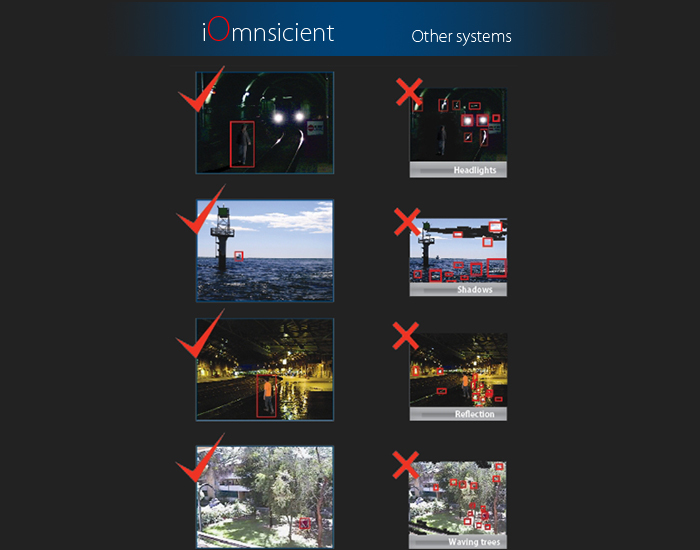 Thanks to NAMS, iOmniscient’s product had ZERO false alarms. Not every false alarm can be eliminated but being able to minimize the number in any environment is critical to the success of the system.